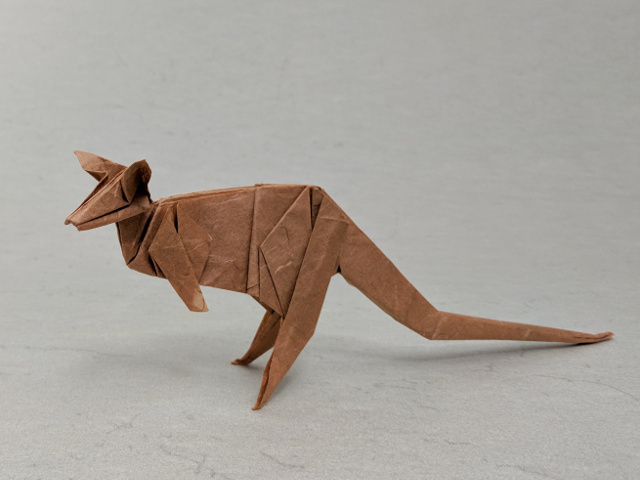 Today I recorded a new tutorial for this fantastic origami kangaroo, so I decided to also take a new (better?) picture of the model I folded in 2013. I think it held its shape pretty well in these past 4 years!